Évaluez cet Article League of Legends has over a hundred unique champions that the players can enjoy. In this article we’ll be talking about our personal favorites in a bit more detail and highlighting why we enjoy playing them so much. League of Legends has over a hundred unique champions that the players can enjoy. In this article we’ll be talking about our personal favorites in a bit more detail and highlighting why we enjoy playing them so much. However, before going into the thick of things, we’d like to point out that the top 5 champions we pick aren’t necessarily the strongest ones in-game. This is an opinion based game and does not reflect the balance of the game in any way. Some of these champions might be really strong in the current metagame whereas some of them might be really weak. We just want to point out that the game’s balance has nothing to do here. Zed was a pretty easy pick for us because he’s just such a well designed champion. Who wouldn’t love a dark ninja who uses the powers of the shadows to wreak havoc on anything that stands in his path? 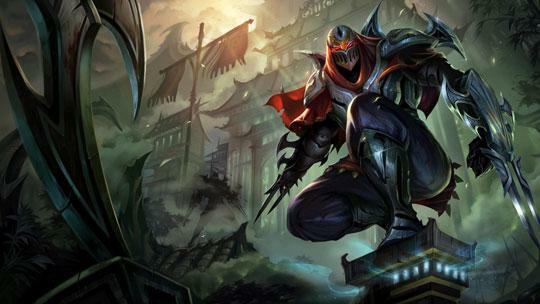 Zed features high mobility, an obscene amount of damage and the strongest 1v1 potential in the game thanks to his ultimate that essentially marks a target for death and deals a massive amount of damage when the mark triggers. 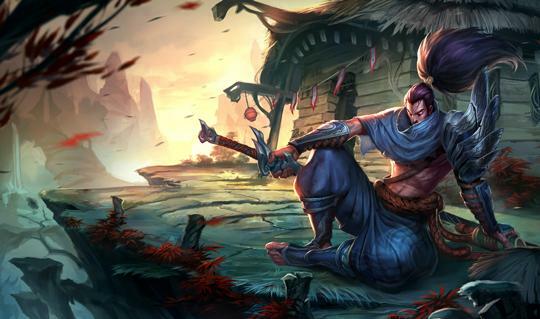 The thing that makes Yasuo such a great champion is the fact that he’s one of the few champions that actually directly relies on teammates to set him up. 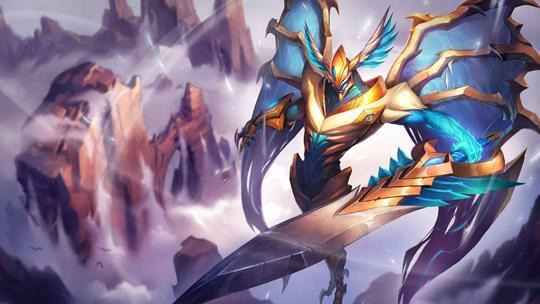 His ultimate, Last Breath, can only be used if enemy champions are currently airborne and this can be very difficult to manage on your own so you have to rely on your teammates to get it done for you so you can ultimate them and then proceed to decimate every single enemy with your damage. Aatrox is just so interesting thematically that it can be rather hard not to like him. He’s basically an ages old demon of war that can turn the tide of any battle with his presence alone. Other than his great backstory, Aatrox features a very fun to use kit as well. His kit might be fairly simple to use on paper but it requires a lot of decision making; do you want to heal or do you want to deal an extra bit of damage? These are the choices that you’ll need to make while playing him and if you make the right choices then you’re sure to come ahead in any duel. Orianna is basically one of the ‘perfect’ champions when it comes to design. Her kit is one of the most cohesive out there. When used properly she can annihilate and entire team but at the same time if she falls into the hands of a lackluster player then she probably won’t have much to offer. 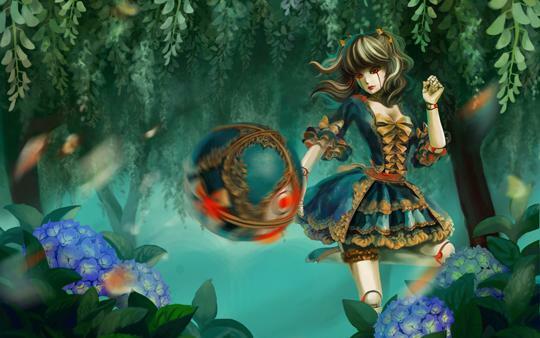 Her ultimate, Shoackwave, can swing a losing battle in your favor if you can manage to catch out three or more targets with it since your teammates can follow it up with a whole bunch of their own damage. 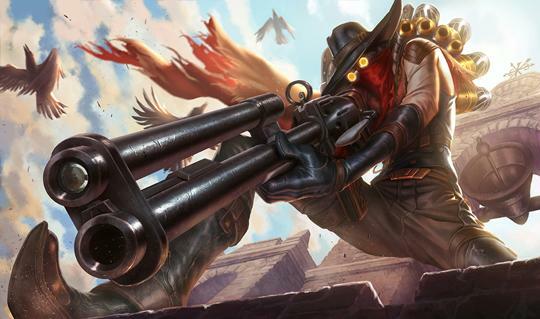 Jhin is currently the latest champion release of League of Legends and hands down one of the most fun champions out there. He’s basically a psychopath who lives for the applause and wants to give his targets a ‘beautiful’ death. His kit allows players to deal a lot of damage at close range but at the same time if you’re far away from a fight then you can use his ultimate to deal a whole bunch of damage from afar or snipe targets who are trying to flee. All said and done, the aforementioned League of Legends champions are definitely our favorites. Which ones do you like the most and why? Let us know.